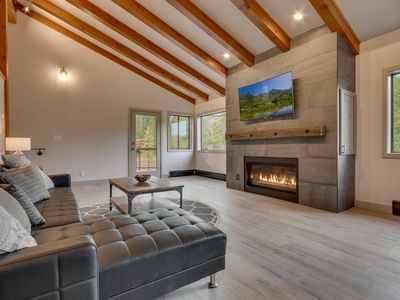 Brand new Beachfront home in the village of Kings Beach with air conditioning! 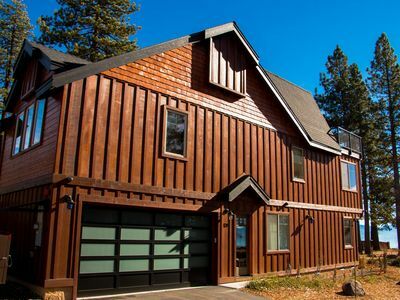 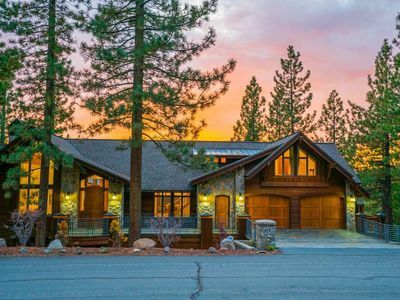 Our newly constructed lake view home is located in the village of Kings Beach on the beautiful North Shore of Lake Tahoe. 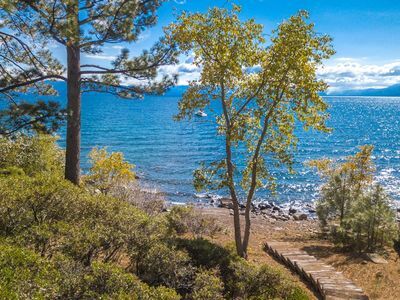 Situated approximately 200 feet from the shore of Lake Tahoe, you can awaken each day to the view of the crystal blue waters of the lake. 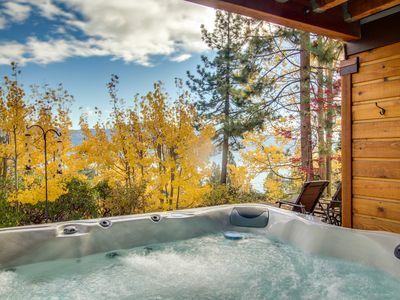 The attention to detail is apparent as each room frames beautiful views of the lake. 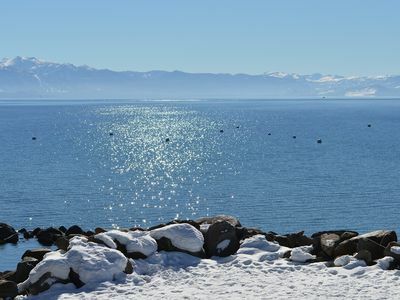 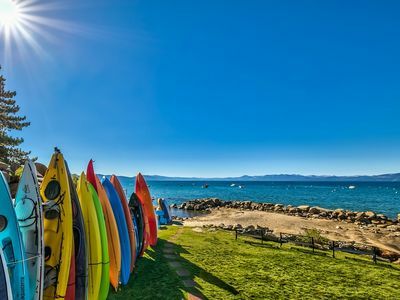 In town and close to restaurants, shopping and all the mountain activity Tahoe is known for. 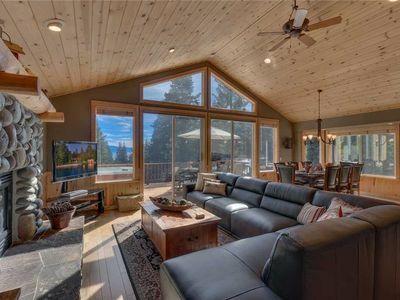 Walk to the morning cup of coffee and newspaper, come back home to the beach enjoying the peaceful views from the shore or the home's third floor deck. 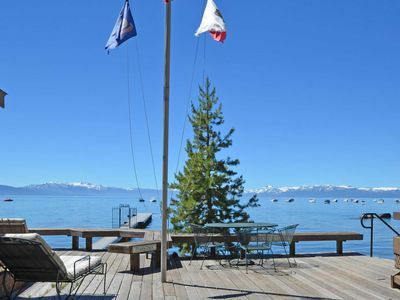 The proximity to beaches, parks and ski resorts makes our home an ideal year round vacation home. 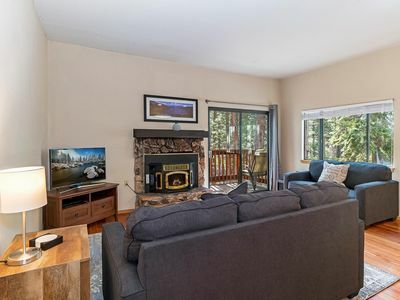 The quality features of this home include 3 master suites (each on its own level of the three story home) with brand new beautyrest recharge mattresses, 540 thread count sheets, all new bedding and furnishings. 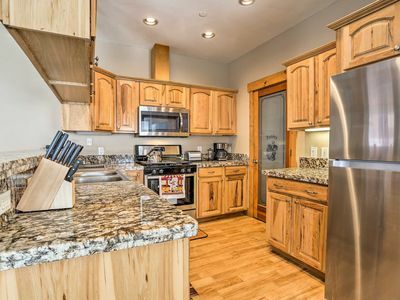 Other upgrades include solid hickory with walnut trim cabinetry, full granite wrapped kitchen, bath and showers, 2 flat screen televisions. 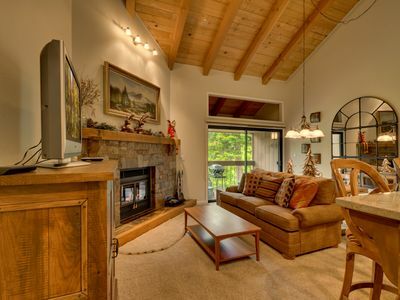 We also provide wi-fi for our guests. 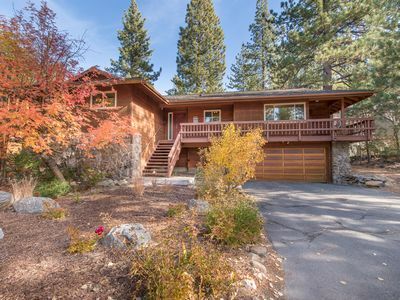 If you are arriving by plane, our home is located about 38 miles from Reno Tahoe International Airport. 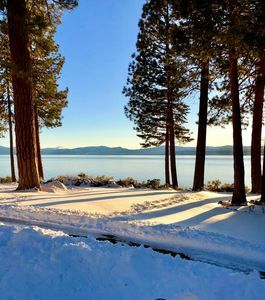 We do recommend a car for convenience during your visit. 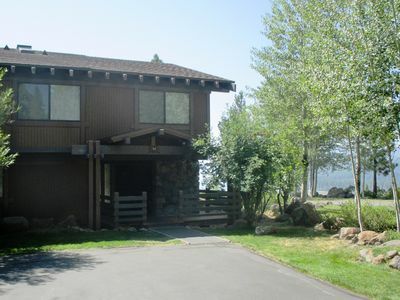 Dog-friendly home w/ private hot tub & lake views - near beaches & slopes! 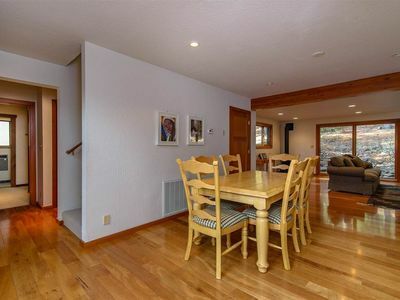 Lovely Kings Beach Townhome - Walk to Beach! 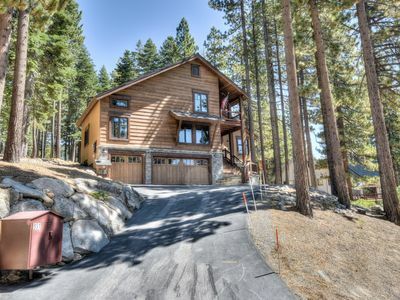 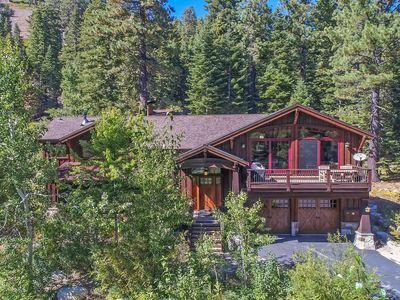 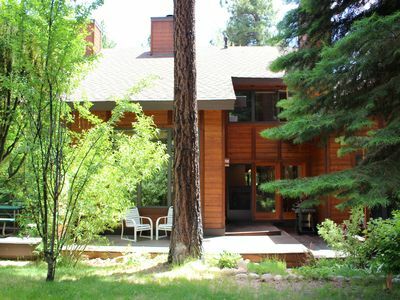 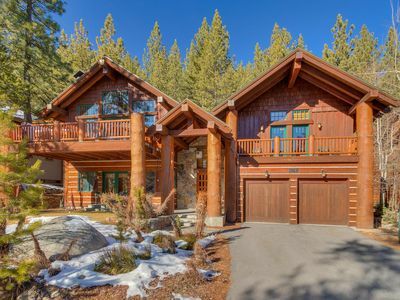 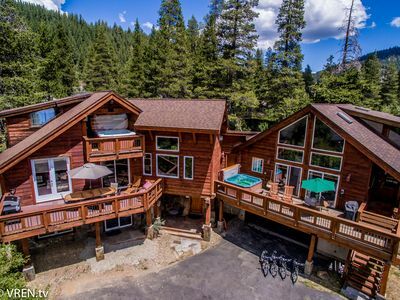 Summit Lodge - Deluxe 4 BR in Squaw with Hot Tub - Must See!